Updated March 20, 1:50 p.m. | Posted March 19, 5:41 p.m. The theme of the week in flooding preparation continues to be: ice jams. They're unpredictable, they're tough to address and they can have significant impacts. As ice on rivers and creeks melts, cracks and otherwise breaks up, it can build up against natural bends in the waterway or structures, like bridges or piers, jutting into it as the water flows downstream. The jammed-up ice chunks can clog up the river or creek, and impede the flow of water. If the flow is impeded enough, it can cause flooding upstream. 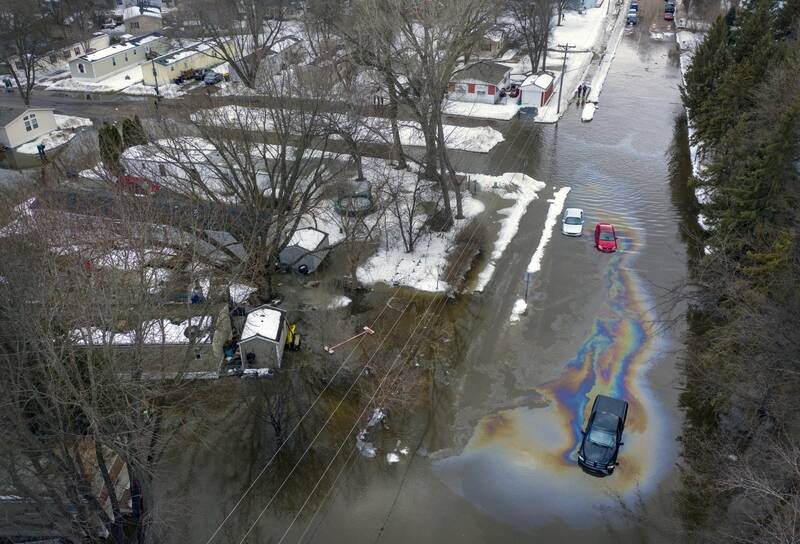 That scene continues to play out across several waterways in southern Minnesota this week, and National Weather Service forecasters say it's likely there will be more. MPR News reporters are fanned out across the state, talking to Minnesotans about how they're dealing with the unpredictable weather and preparing for possible floods. Here's what we're seeing in the southern half of the state. Carver County officials say they have closed County Road 11, also known as Jonathan Carver Parkway. It's also Highway 9 across the river in Scott County. The flooding will block access for drivers going north from Jordan across the Minnesota River. U.S 169 remains open in the area. The closure follows at least four others. Highway 19 between Henderson and 169 closed Tuesday afternoon. Highway 93 south of Henderson closed Saturday. Highway 4 north of St. James also closed over the weekend. The Minnesota Department of Transportation says it is monitoring the road from 169 to Le Sueur and the Highway 99 bridge in downtown St. Peter. MnDOT also says Highway 65 is closed in both directions in Albert Lea because of water on the road. Chaska police say Highway 41 will also close over the Minnesota River on Friday morning. Ramsey County said Wednesday afternoon that County Road B underneath the Interstate 35E bridge in Maplewood is currently closed due to flooding. There are berms going up, sandbags being filled and a lot of eyes on weather reports upstream at the Prairie Island Indian Community, which sits in the Mississippi River between Hastings and Red Wing. While the reservation has flood plans ready, as always, there's no predicting what might or might not come. 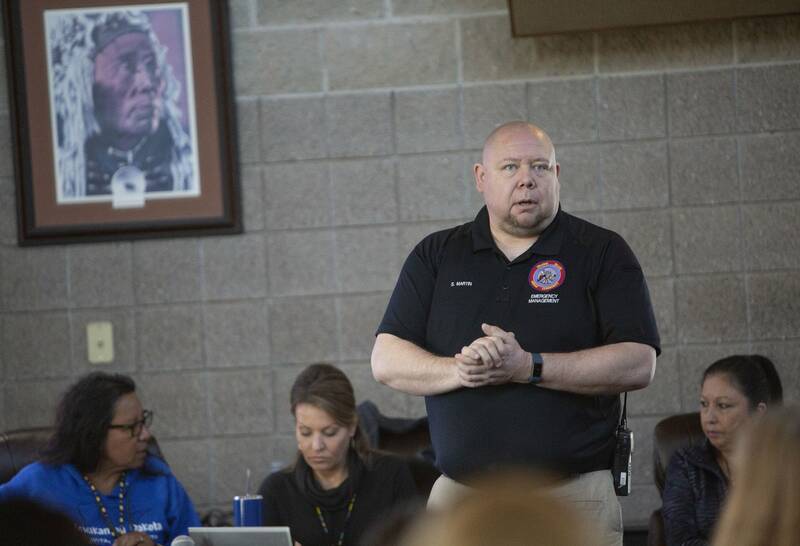 Lu Taylor, the vice president of Prairie Island's tribal council said watching and waiting for the river to rise is part of life on Prairie Island. She and her siblings are at the ready to help their mother, who lives there, if the Mississippi River begins to get too high. "This year she's very, very worried," Taylor said. "She's worried about somebody telling her when to leave. I just said don't worry, you'll be the first to know." 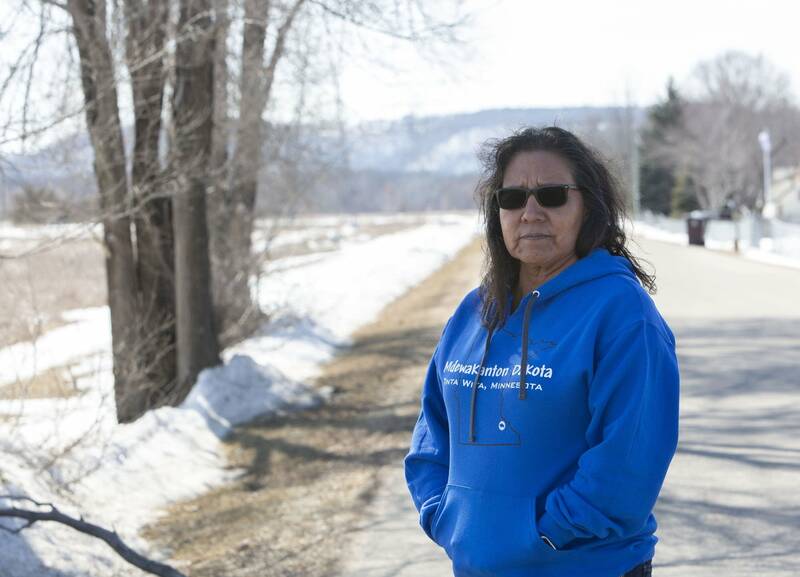 Since a major flood in 1965, the tribe has built a lot of flood mitigation infrastructure. And in the last few days, as snow around the state has started to melt, they've built up temporary berms of sand that stand 11 feet high and run hundreds of feet. 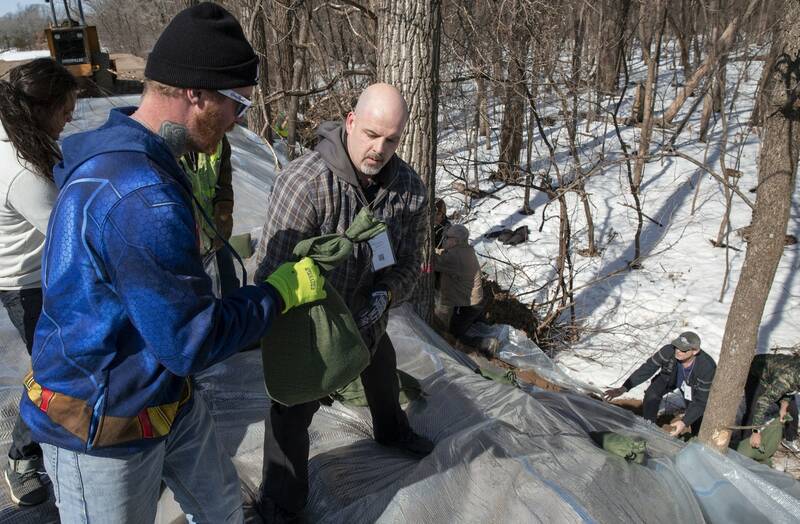 Volunteers were helping Tuesday morning to reinforce the berm, laying plastic over the entire barrier and dropping sandbags on top of that plastic. To make it all work, it takes hundreds of volunteers. Other tribes in the state are sending down buses, some Twin Cities pro sports teams are sending people to help. • Video: What causes spring floods? Schyler Martin, the emergency management coordinator for the community, said they are most worried about the snowmelt from the headwaters of the Mississippi and the snowmelt into the St. Croix river. "We know that the flood level for the Mississippi River at Lock and Dam 3 is 680 feet," Martin said. "That's when the river is starting to overcome its banks. At the 683-foot mark, that's when we're really going to be concerned, that's when we start really watching what's happening with our only road in and off the island. We really focus on the forecasts as they come out and take action from there." Martin says they're working in coordination with the neighboring nuclear power plant, which also has a flood plan. But for Martin and the council, the main plan in place is to help the 250 or so residents who live on the island. "We want to plan for the worst, hope for the best," Martin said. "But in planning for the worst, we've made plans and have set trigger points for when we'd have to evacuate the island, which would also include Treasure Island Hotel and Casino." Darelynn Lehto, a tribal elder, said while there's a different set of concerns year to year, the flooding will happen at some level each year. "Over the years, 30, 40 years, it's a matter of this is part of our life, this is what we do," Lehto said. "And it happens every year, so we get better and better at it." Sandbagging at Prairie Island will continue through the week. — Peter Cox | Welch, Minn.
An ice jam blocked Jordan's Sand Creek at the end of last week and forced the frigid waters into a nearby mobile home park. Rains broke up ice on the creek, a tributary to the Minnesota River. The ice jams backed up water in the creek, sending it out of its banks. More than 100 people evacuated from the Valley Green Mobile Home Community, along U.S. Highway 169. On Tuesday morning, town officials said crews had cleared the ice jam. Public works crews started pumping water out of the area, and reopened the road in and out of the park. 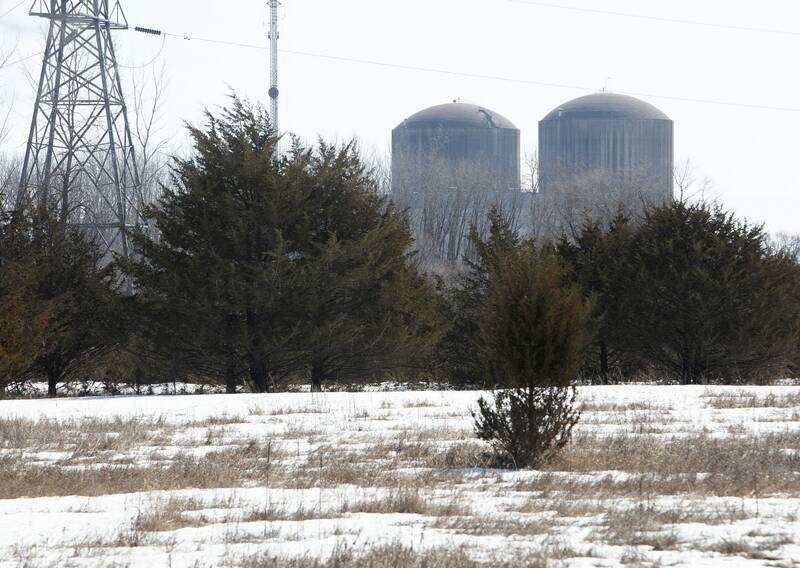 Jordan Police Chief Brent Empey said displaced residents have access to their homes again. The city expects to be pumping water from the area at least through Wednesday. Rising waters on the Minnesota River prompted MnDOT to close two major routes out of the town of Henderson in Sibley County this week. By Tuesday, southbound Minnesota Highway 93 — North 5th Street in Henderson — was closed because of high waters. That afternoon, MnDOT said it was closing Minnesota Highway 19 east of town, from Henderson to U.S. Highway 169. The transportation department said several other stretches of road in the area have been closed, and urged drivers to find alternate routes. The National Weather Service's latest forecast projects the Minnesota River will continue to rise in Henderson, reaching several feet above flood stage over the weekend. 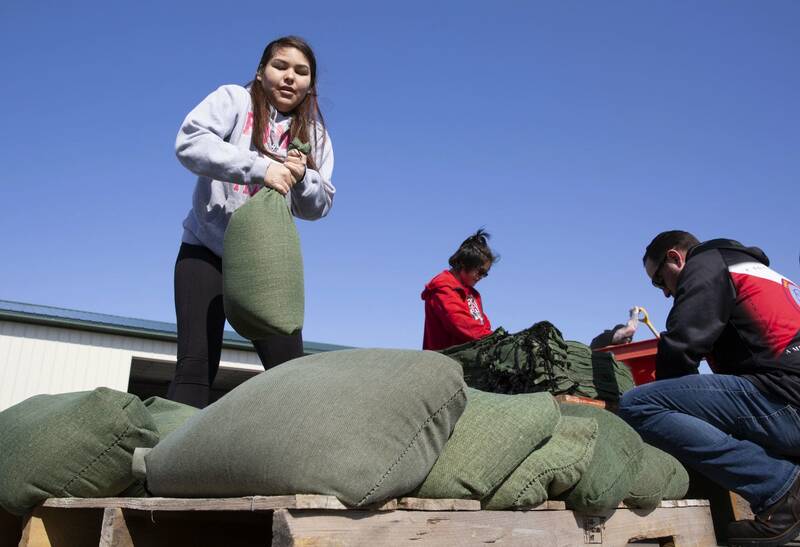 Within a few hours of announcing it was looking for help filling sandbags, a group coordinating the volunteer flood preparation effort in Stillwater announced they'd filled all their slots. The group plans to begin its sandbag efforts Thursday, and has all-day sessions planned into early next week. Mayor Ted Kozlowski said on Facebook that he had followed along with the latest National Weather Service forecast, which has held steady for the city. "This is good news," Kozlowski wrote. "We still have 90 percent probability of a major flood event but I was a little worried about that rain last week. Also, the forecast looks dry for the next couple of weeks. Stay positive." The city lies on the banks of the St. Croix River in Washington County, and has a history of springtime flooding. Earlier this week, city officials closed off parking in the city lots closest to the river.